27 Jun	This entry was published on June 27, 2017 at 3:16 pm. 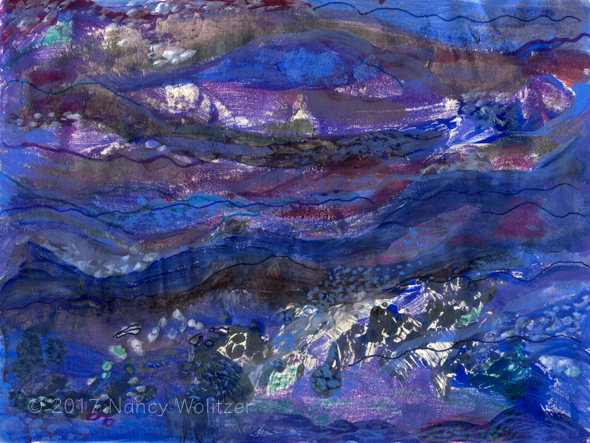 It’s filed under Artwork, Painting and tagged Acrylic, Floating, Nancy Wolitzer, Ocean, Painting, Waterscape, Works on Paper. Bookmark the permalink. Follow any comments here with the RSS feed for this post. Thanks so much for commenting and loving “Floating.” And I am so happy you are now one of my followers. I will definitely check out your blog.